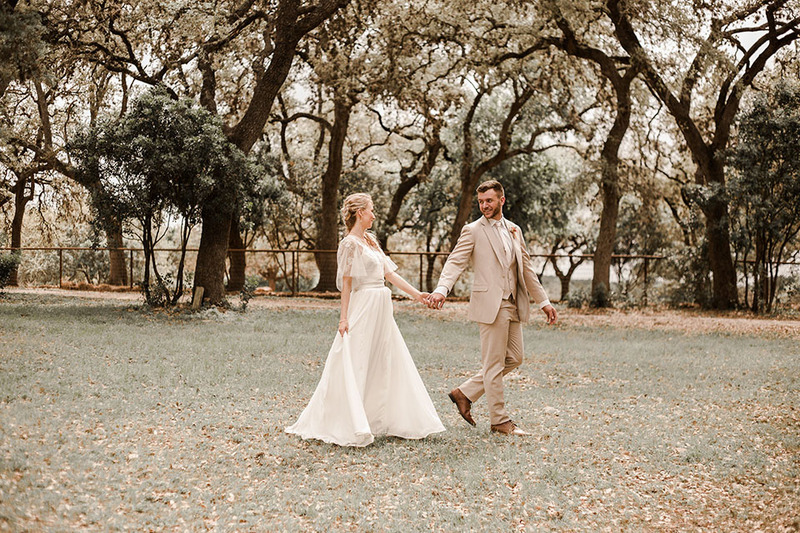 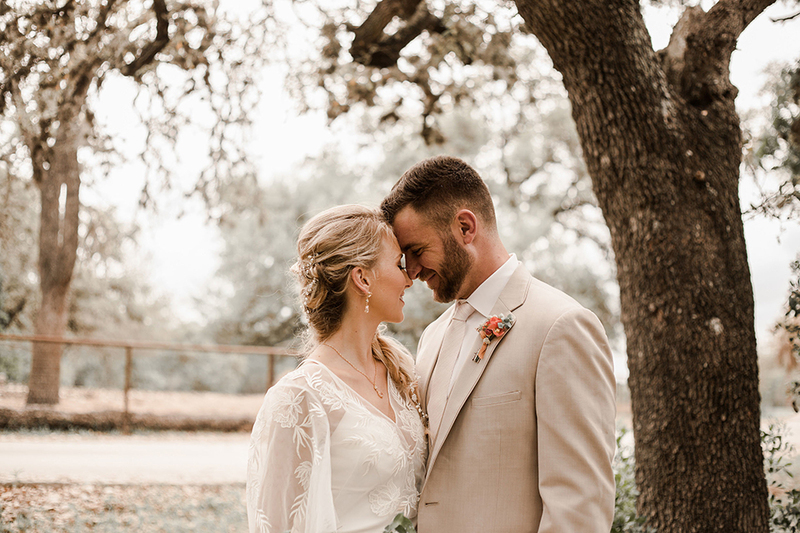 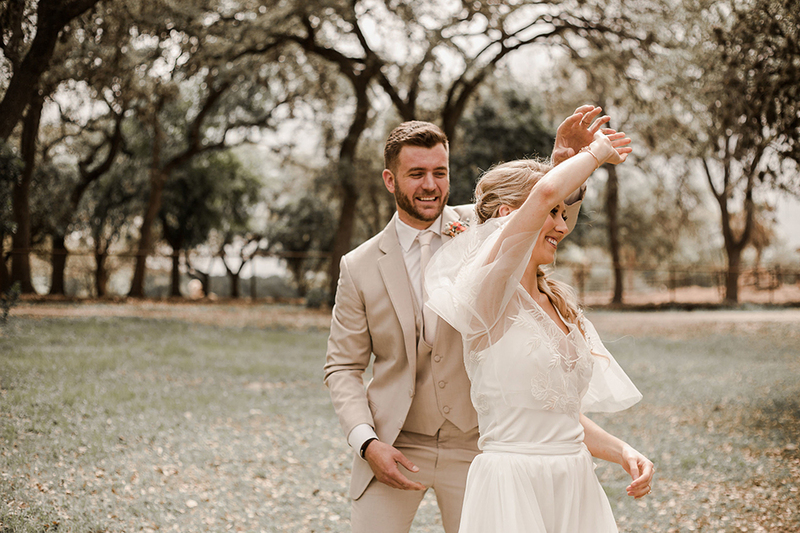 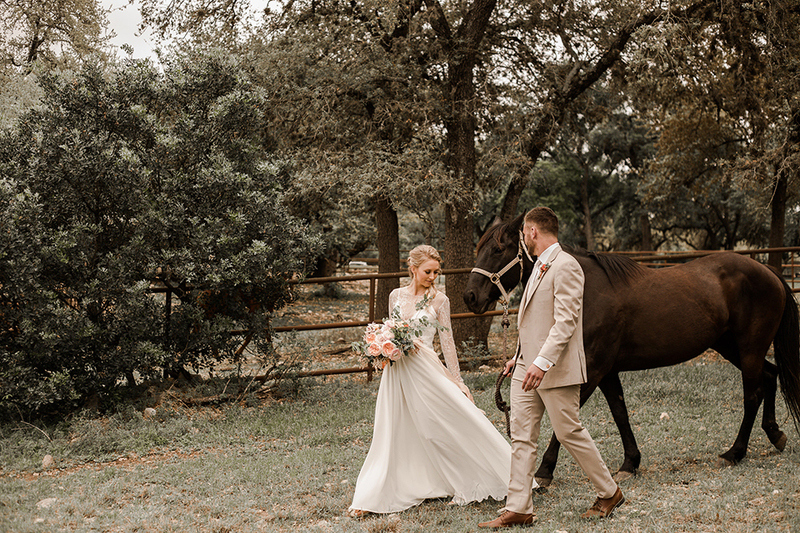 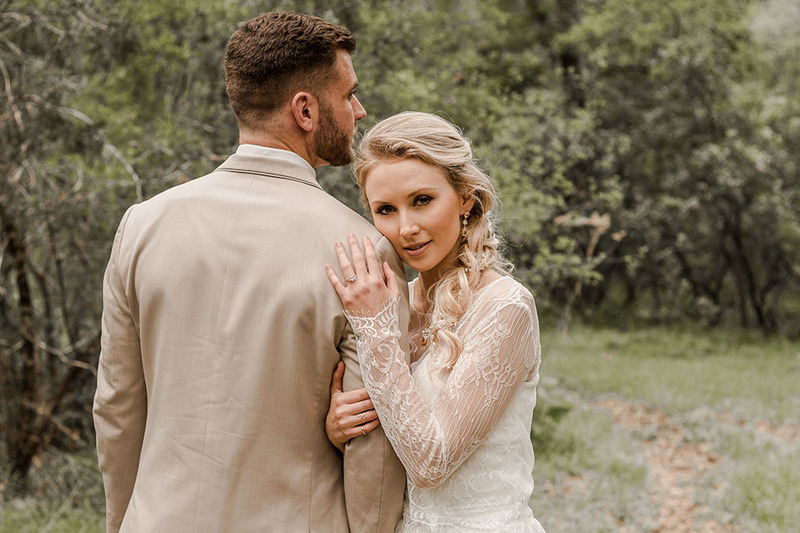 Our Peaches & Cream styled shoot took place on a beautiful ranch just outside of Austin, TX overlooking the beautiful Hill Country. 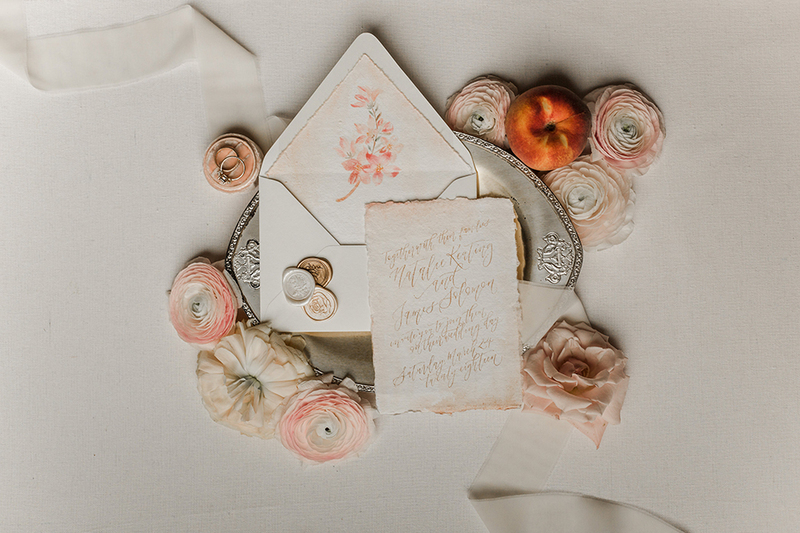 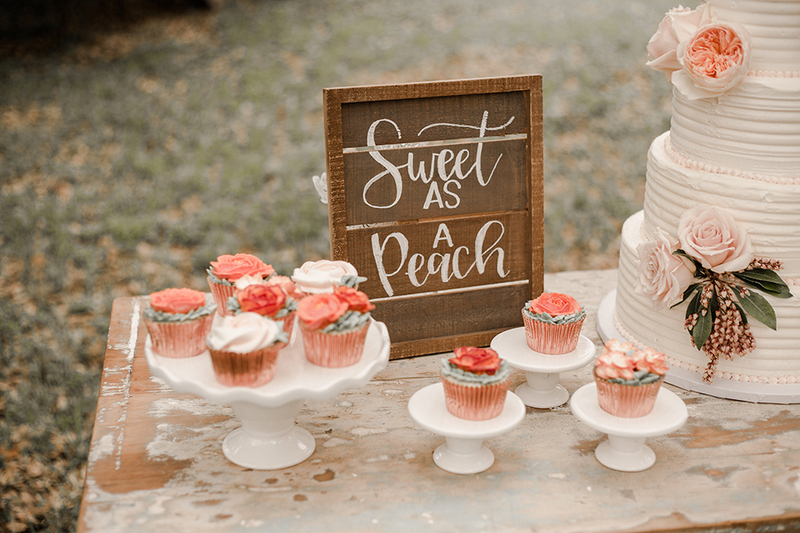 The theme behind this wedding was peaches and cream - it encompassed lots of bright summer colors like stunning pinks, oranges, and, of course, peaches! 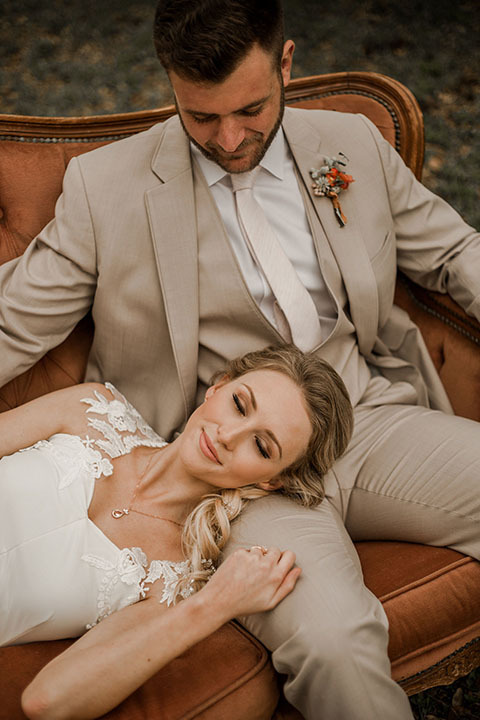 The best part is definitely the dress and shoes though. 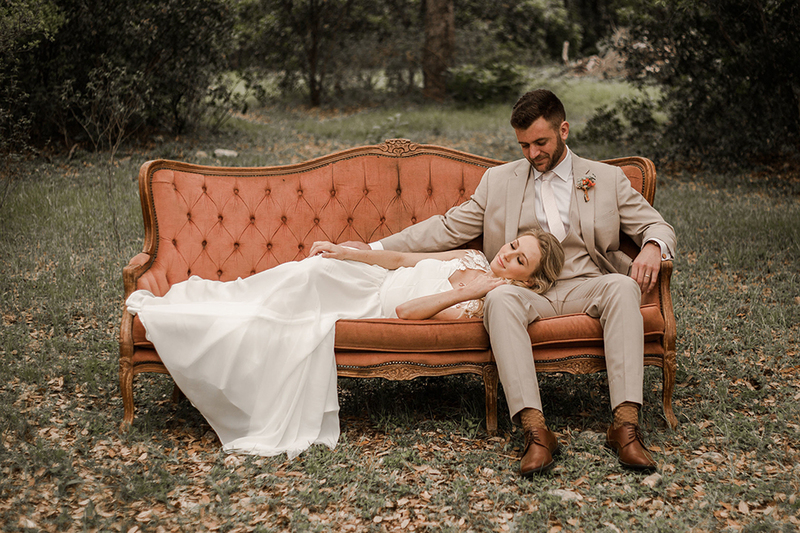 It was the perfect dress, the beautiful lace detailed top with the incredible flowing chiffon skirt, and to complete the look the stunning peach lace shoes tied in a perfect bow. 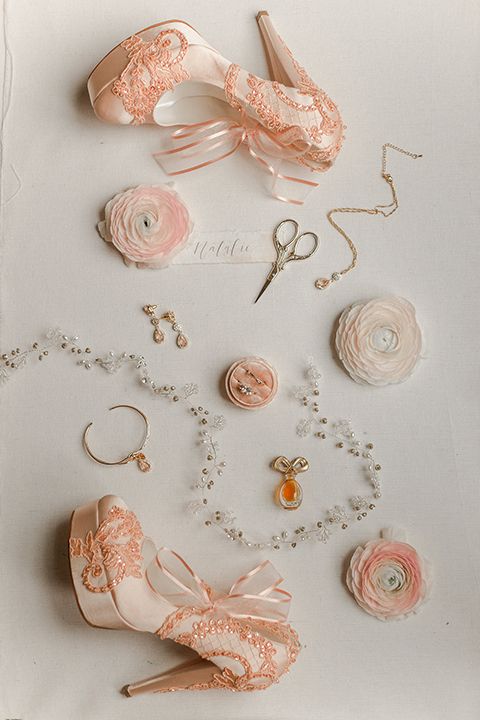 Of course, the accessories like the incredible delicate peach jewelry topped the look off. 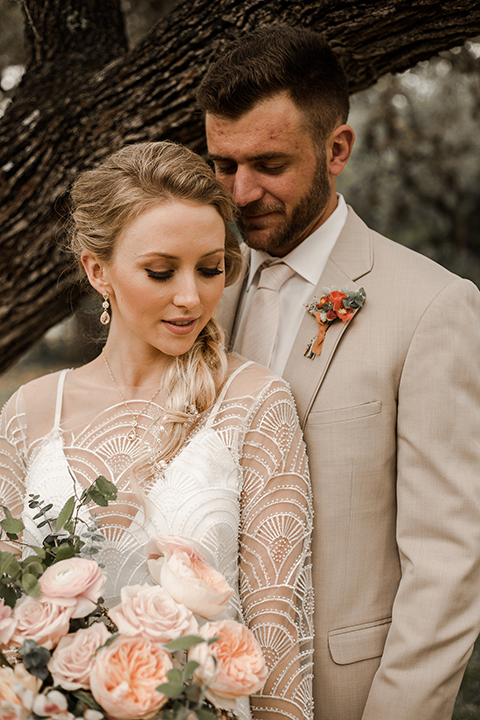 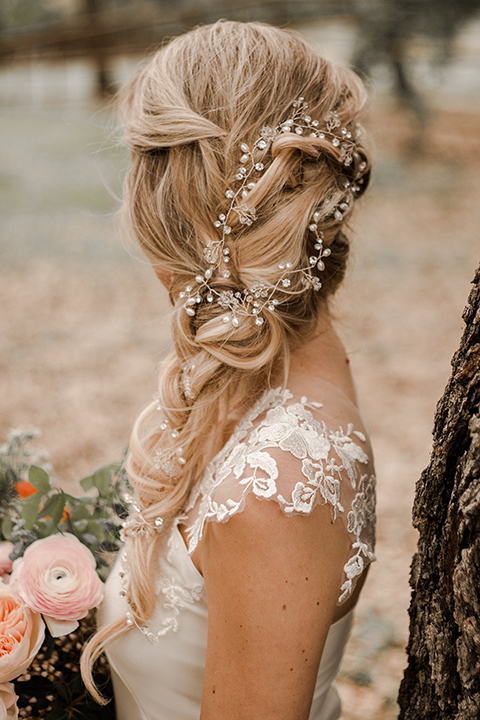 Once the look was complete the bride was dolled up to perfection with a simple natural look and a stunning braid interwoven with the prettiest hair vine. 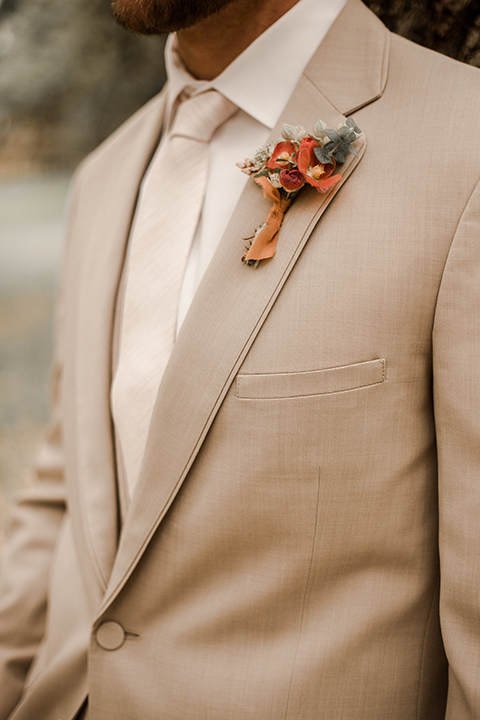 But let’s not forget about the groom, you can’t have a wedding without one! 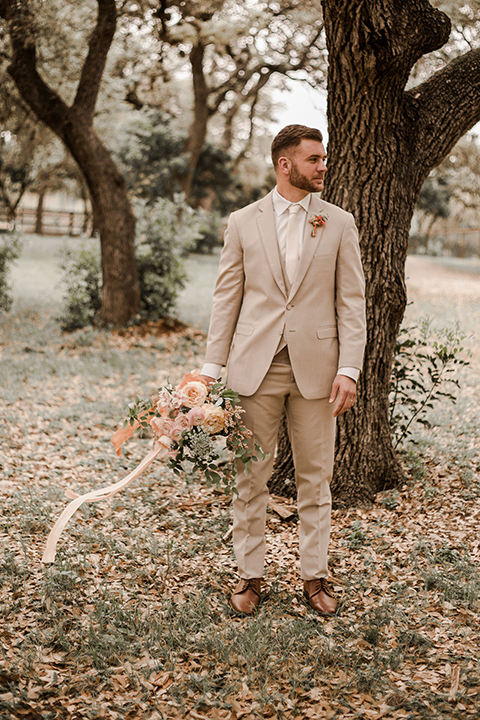 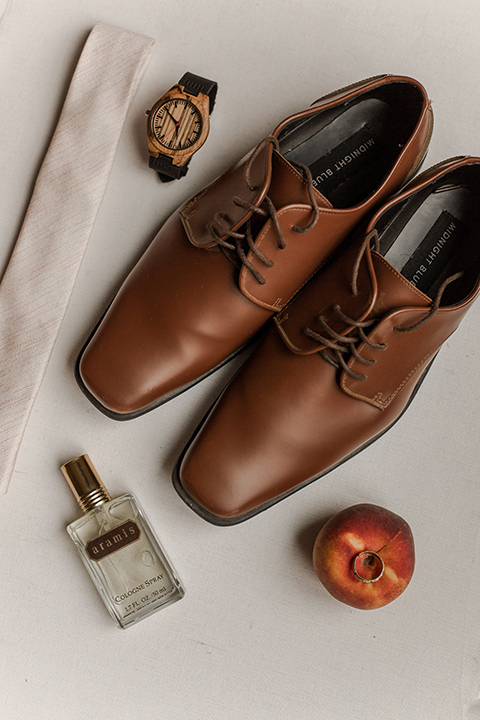 Dressed from head to toe in the perfect tan suit with the nice pop of color in the cognac shoes, and on his finger, the perfect gold band made to look like a branch! 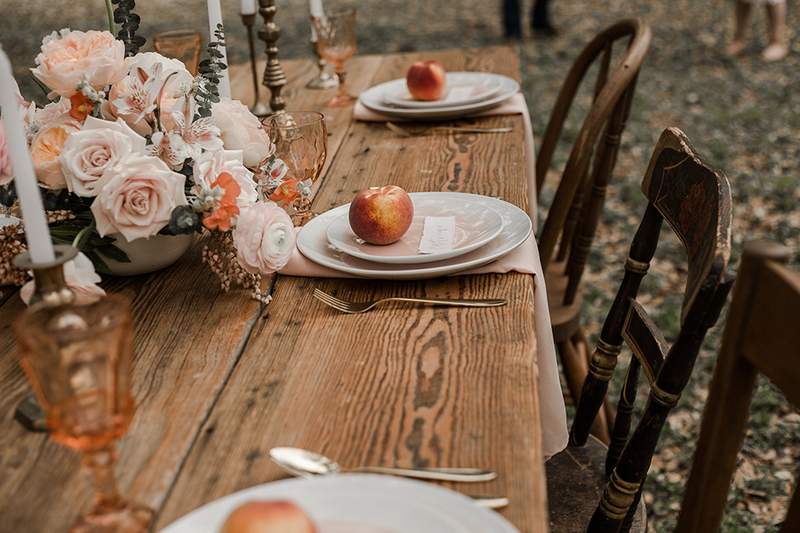 The florals complimented the look perfectly without completely stealing the show. 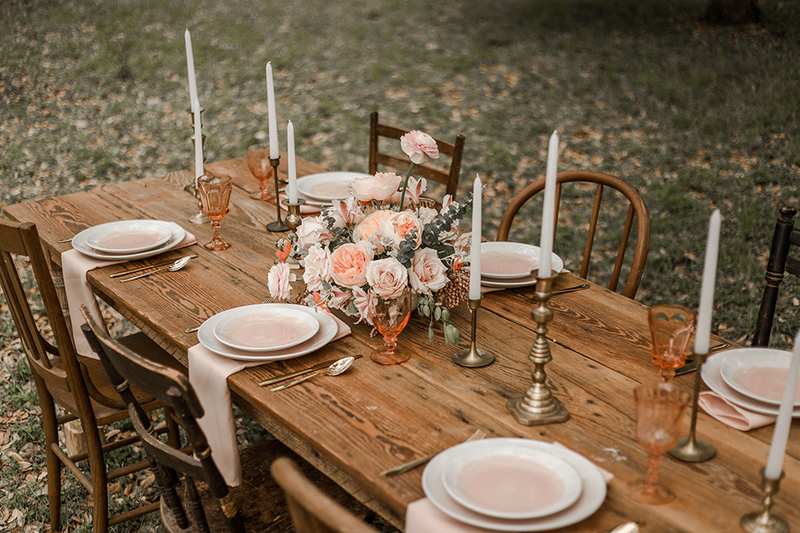 The centerpieces accented the beautiful tables in the best way, playing in perfectly with the hand painted pink plates, but even with a stunning tablescape in front of them none of the guests could take their eyes off of the sweetheart's table! 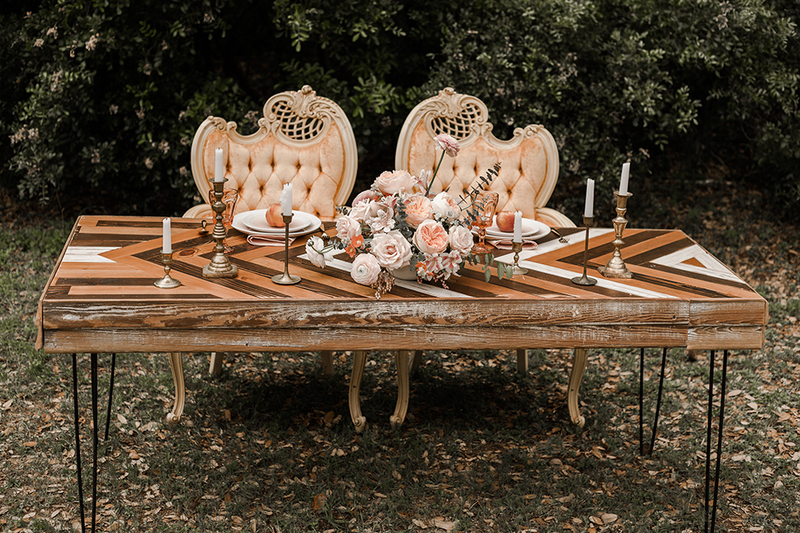 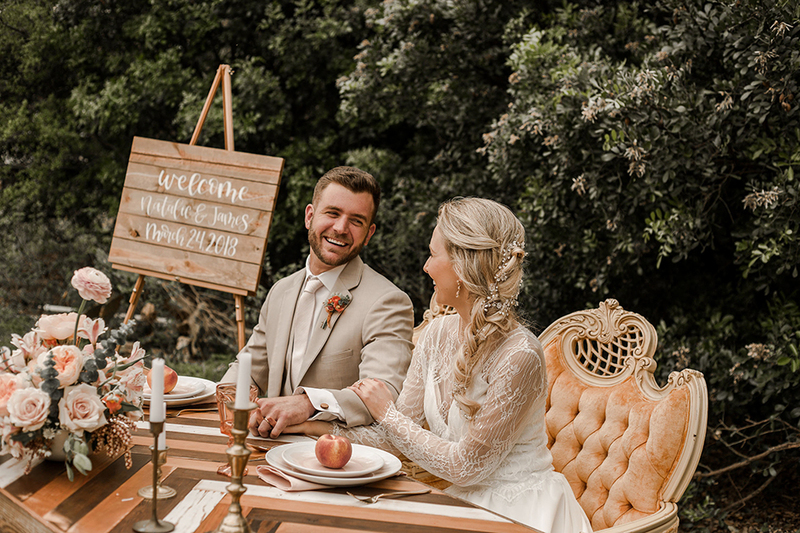 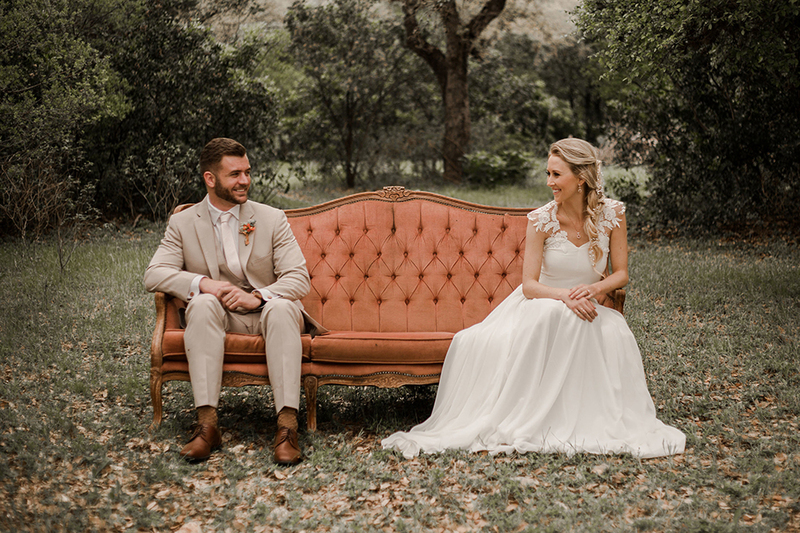 The beautiful tri-wood table showed off the colors of the shoot in a unique and beautiful way along with the stunning tangerine chairs seating the couple. 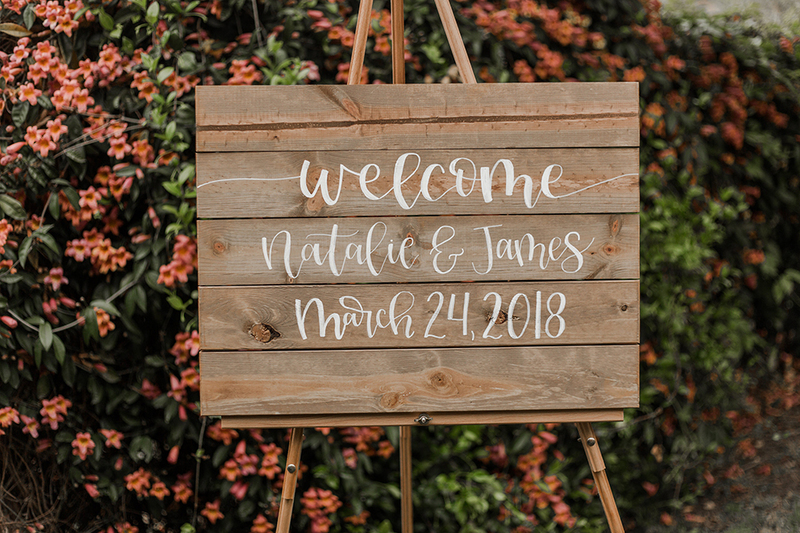 Finally - what everyone looks forward to the most - cake! 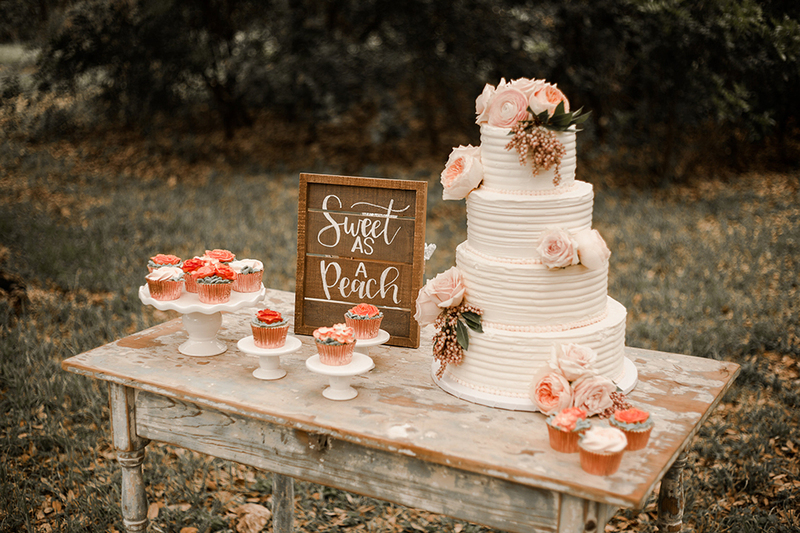 The dessert table housed an incredible 3 tier cake surrounded by buttercream cupcakes with flowers that almost look real. 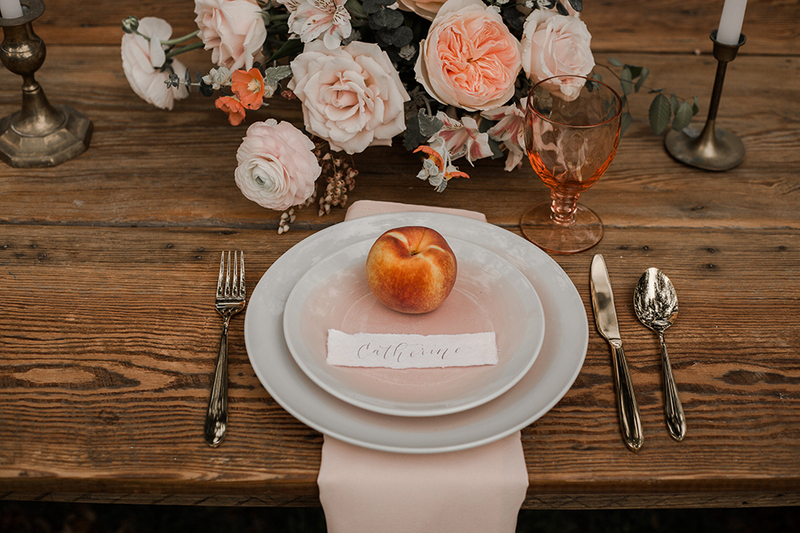 Everything at the table was “sweet as a peach” for sure! 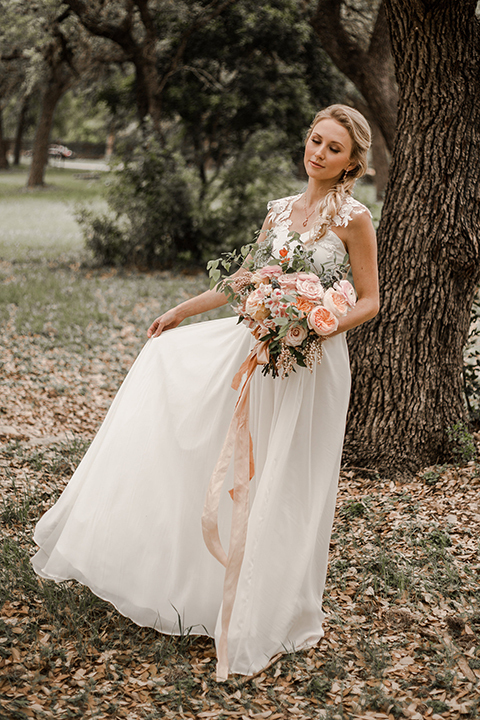 This shoot definitely captures the essence of summer in every way possible!